WARNING: You May Die This Week Unless You Read This NOW! Why Outsource? 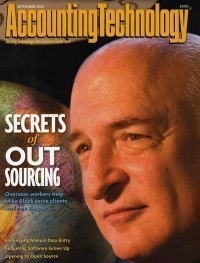 The September 2007 Accounting Technology magazine cover story (Secrets of Outsourcing) featured me when I had 8 years of outsourcing to save money, save time and increase flexibility. Secrets of Outsourcing – What’s in it for you? Florida Unemployment Tax Insanity #9, Good News?